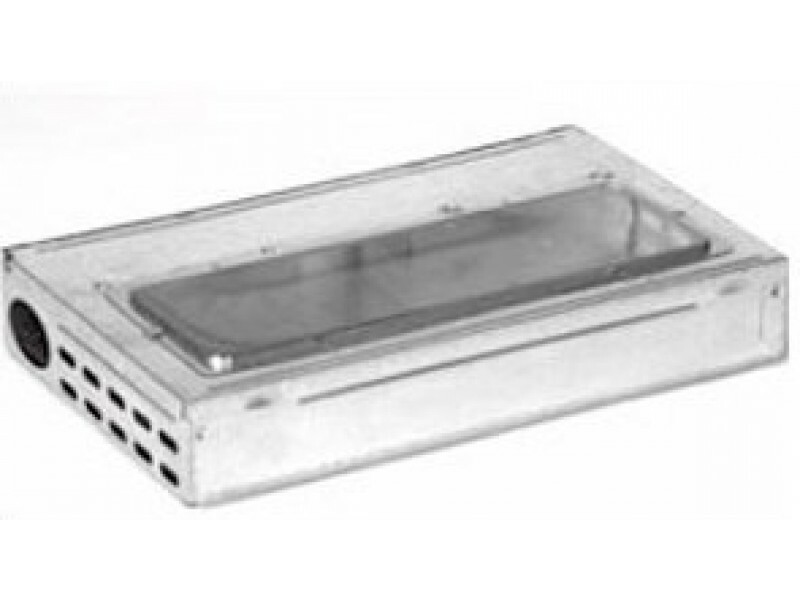 This non-lethal galvanized multi-catch mouse trap will quickly reduce rodent population in homes, farms, warehouses, plants and businesses. Safe for use around pets and children. No settings required, effective one-way doors on both ends trap mice inside. 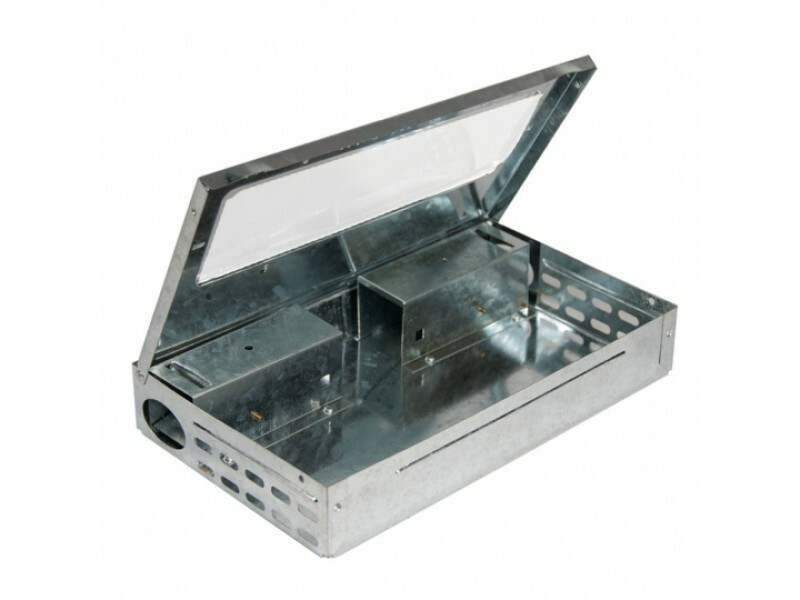 Hinged cover with clear plastic viewing window for easy rodent removal. Holds up to 25 mice. 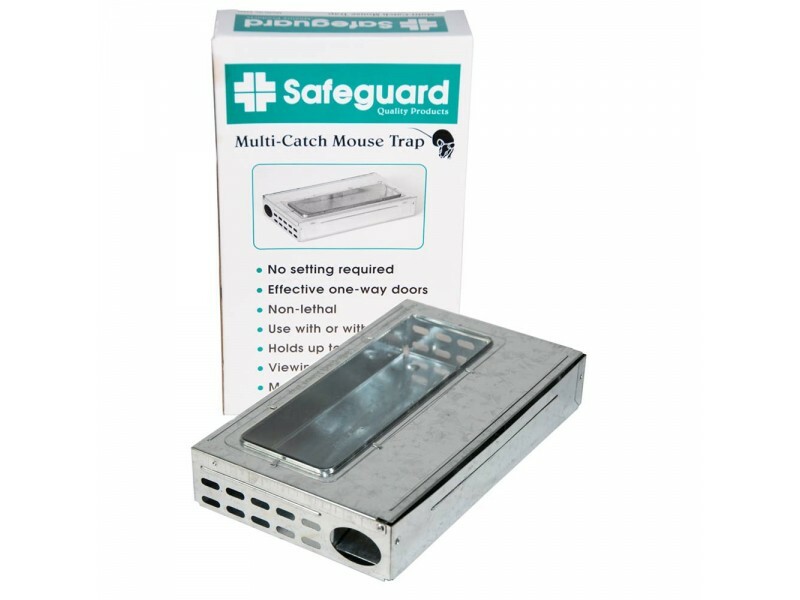 Safeguard Multi Catch mouse trap allows for multiple capture with two one-way entry doors and a holding compartment. This trap has the capacity to hold up to 25 mice per setting. Can be baited for added attraction or unbaited as a blind set, along a wall where mice are travelling. • Size: 10" long x 6" x 2"